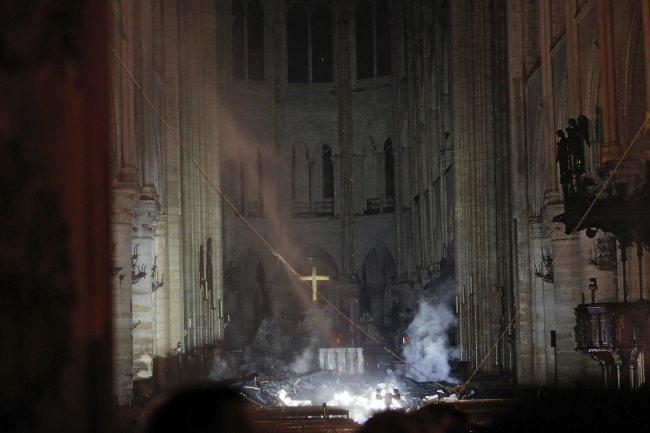 Macron cancelled a planned national policy speech on recent "Yellow Vest" protests and instead headed to the scene, where he vowed the cathedral would be reborn. France's billionaire Pinault dynasty immediately pledged 100 million euros for the reconstruction effort. One firefighter was injured in the blaze, the fire brigade said, revising an earlier assessment that the individual was in a serious condition. The cathedral is located at the very centre of the French capital and its construction was completed in the mid-12th century after some 200 years of work. 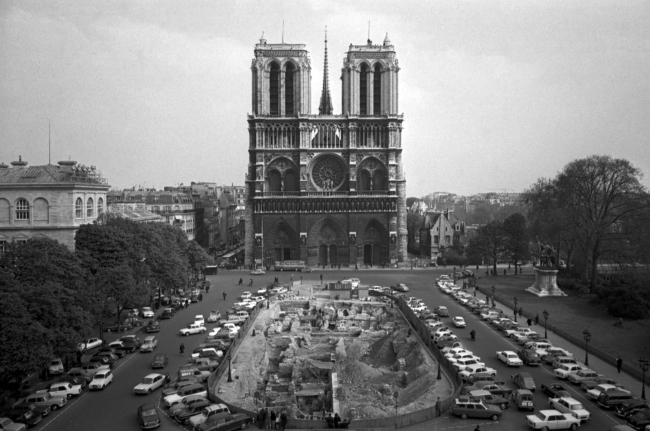 During the French Revolution in the 18th century, the cathedral was vandalised in widespread anti-clerical violence: its spire was dismantled, its treasures plundered and its large statues at the grand entrance doors destroyed. Jacky Lafortune, a 72-year-old artist and self-described atheist stood forlornly on the banks of the River Seine staring at the burning cathedral.